'LEGACY' part two! A massive metahuman war threatens to leave the future ripe for conquest by the despot known only as Sovereign. So warn the children of the Justice League, who have come back in time to save the world. 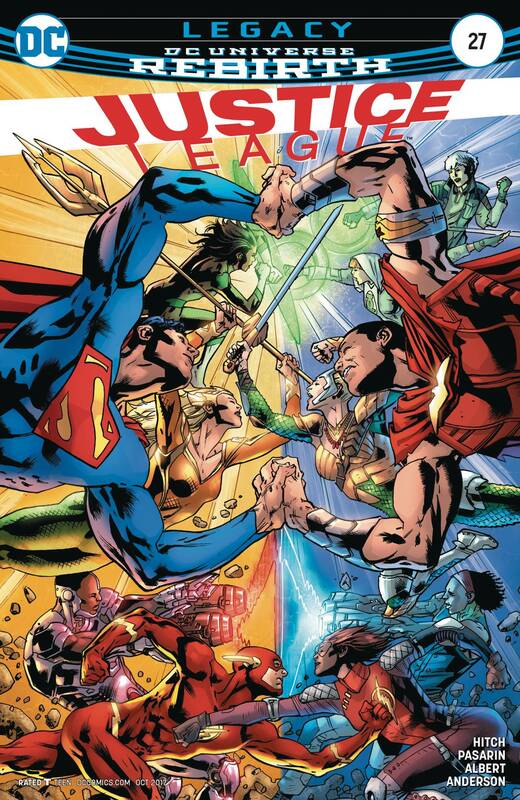 But the term 'blood feud' takes on new meaning when the younger heroes declare that for the crisis to be averted, one of the Justice League must die!